At Cladding Wholesale, we have a large cladding range, including Vinyl wall cladding, aluminium house cladding, vinyl cladding trims and aluminium cladding trims. Our manufacturing facilities include some of the most advanced plants in the world with production 24 hours a day, 7 days a week, and 51 weeks a year. 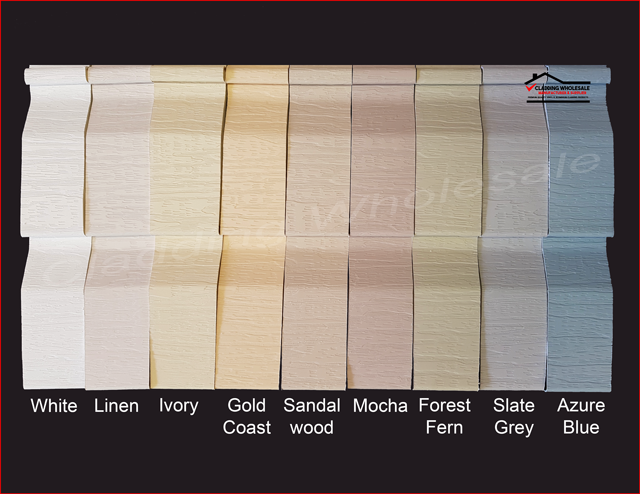 Cladding Wholesale has a comprehensive range of colours to suit any building exterior or style. 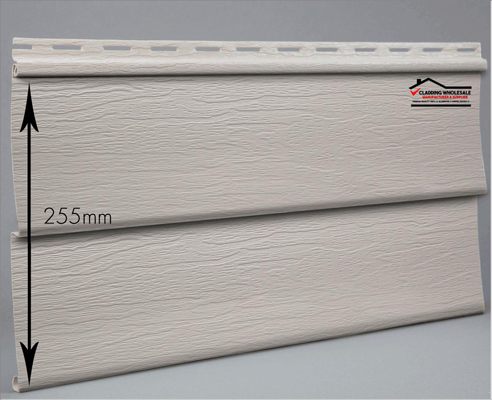 Cladding Wholesale is a manufacturer, wholesaler and distributor of pre-finished Aluminium and Vinyl (un-plasticised PVC) External Wall Cladding and accessories. If you are looking for the best range of house cladding, we can help with premium quality Vinyl and Aluminium Cladding for your wholesale needs. As a major industry company, our product distribution is readily available to all Australian States and Territories including Brisbane QLD, Northern NSW, Papua New Guinea, Asia, the Pacific Islands and New Zealand. Cladding Wholesale Building Systems applications are numerous – ideal for existing homes, new homes, relocatables, cabins and even cubby houses. 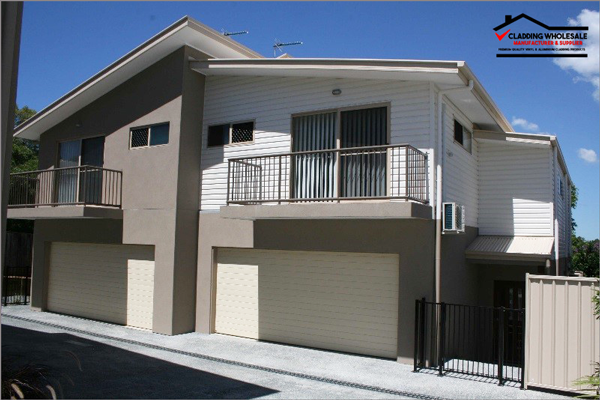 At Cladding Wholesale, we are committed to producing a top quality cladding product for your use. Our manufacturing facilities work 24 hours a day, seven days a week, 51 weeks of the year. We implement high quality control standards across all of our products and ensure that every piece of cladding that leaves our factory has been made to the highest possible standards. Our hardworking plant team are the people who are responsible for the impeccable standards of our finished product. Every step of manufacture is monitored and tested to ensure quality, and the finished cladding product is tested and measured in quality control labs to ensure consistency, physical strength and adherence to product specifications. We will never sacrifice quality with our house cladding. We are thorough when it comes to checking pigments and finishes. All of the colour pigments used in the production of Cladding Wholesale products are checked via computer and matched precisely, which means that the batches remain the same year after year. 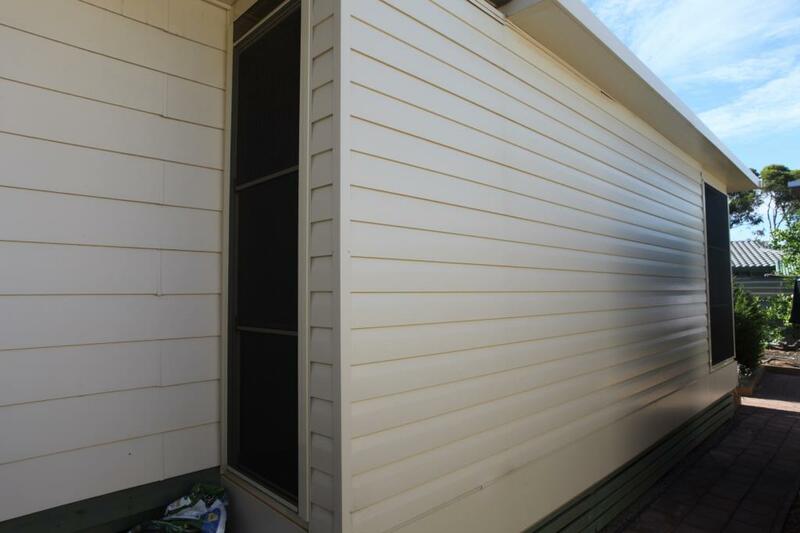 At Cladding Wholesale, we are leaders in the industry and are the number one choice when it comes to house cladding.